Since 1979, Mike George has been providing a full compliment of automotive services specializing in the Restoration of Vintage, Historic, and Exotic Race cars.Autoworks Unlimited also provides secure storage, long haul and towing services for Vintage, Historic, Exotic Cars and Professional and Amateur Racing Cars and Teams. Just have a dent or a ding in your new car? Our experienced team of craftsmen also provide repair services for all makes and model of cars … new, used, daily-driver, muscle car, classic, vintage, exotic or any type of vehicle. Mike George started building, repairing and restoring exotic cars, vintage race cars and high end classic cars in 1979. For more than 30 years he and his staff have been trusted to work on everything from daily drivers to one of a kind exotic cars. Autoworks Unlimited employs the best tools in the industry including a Chief EZ Liner Frame Straightening Machine. The Chief Ez-Liner can deliver 10,000 lbs. of pulling power from each of it’s three power posts … the work platform utilizes a clamping system second to none. Using the Ez-Liner, your vehicles frame will be repaired to factory specifications, measured and cross measured, without the use of heat which destroys the structural integrity of your vehicle. Mike George and his team of talented craftsmen are Carbon Fiber Specialists. Autoworks Unlimited can repair all types of Carbon Fiber and Kevlar as well as Steel, Fiberglass and Aluminum bodies and parts. Whether it be a body, race car tub, cage or frame, Autoworks Unlimited is your source for high quality, factory level repairs. Our expert painters will get your vehicle looking like a new car. We utilize the best paints and painting technology to ensure a perfect match. We employ the best tools in the industry including a Chief EZ Liner Frame Straightening Machine. 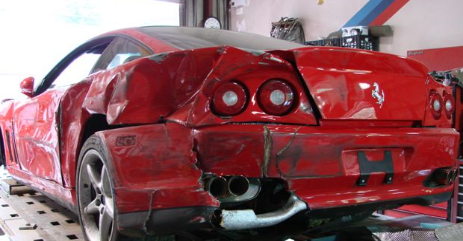 Using the Ez-Liner, your vehicle’s frame will be repaired to factory specifications. 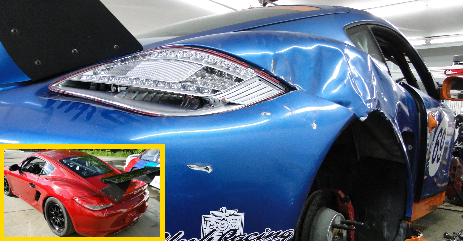 View our photo gallery of before and after images of restoration projects, collision repair, auto body repair and more.